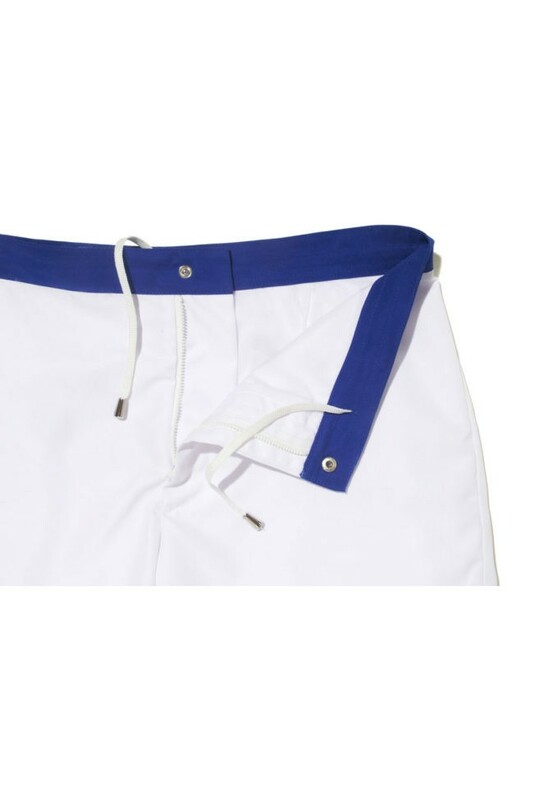 INSEAM Choose an option4 "
Tailored for style, comfort and performance, the classic Revel White swim short from KoMocean Swimwear features a sleek design and a sharp trouser fit. 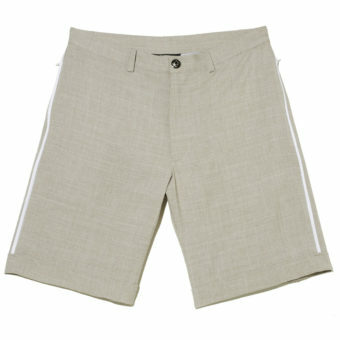 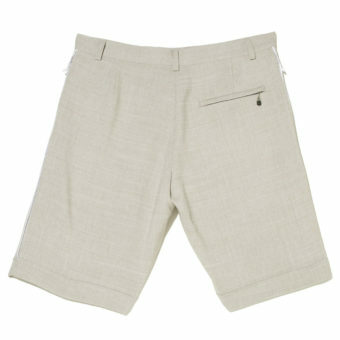 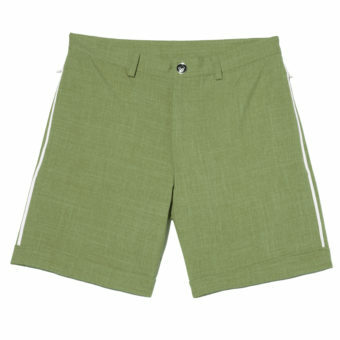 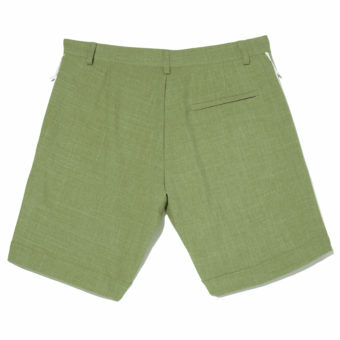 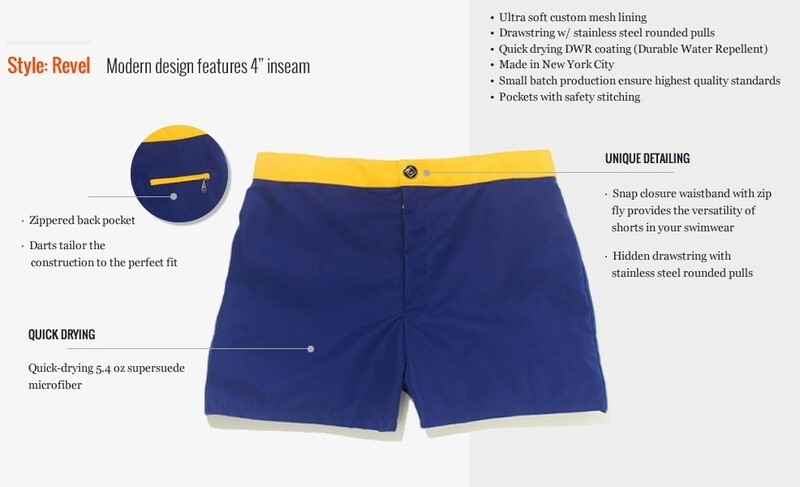 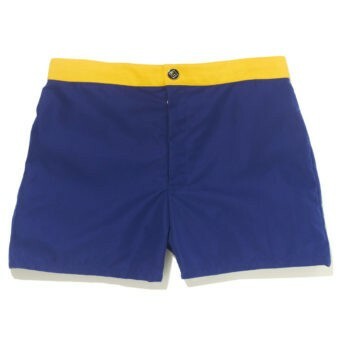 This simple, yet chic swim short is versatile – and with a heavyweight 5.4oz fabric, the suit feels decidedly substantial. 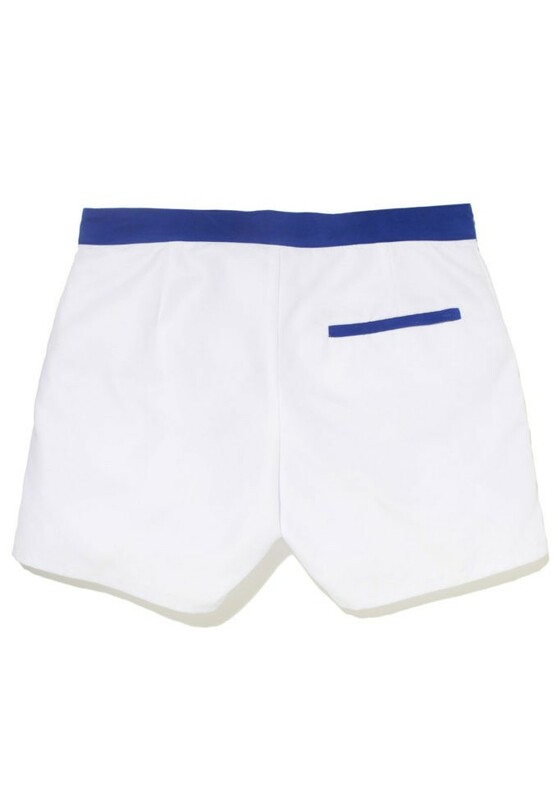 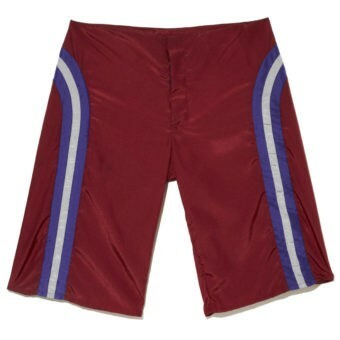 With a handcrafted cufflink-like snap and contrasting waistband, this swim short brings contemporary style to a classic look, poolside or street-side.